BLP is on an Industry Steering Committee advising Box Hill Institute on a new Victorian Government funded Advanced Diploma in BIM. 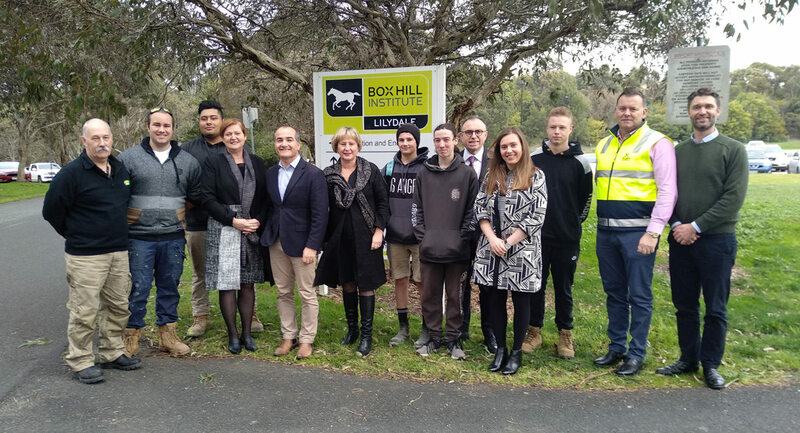 Meeting with the Steering Committee at the Lilydale Campus, the Victorian Minister for Training and Skills Gayle Tierney and the Member for Monbulk James Merlino announced $2.9 million in funding for Box Hill Institute, where BLP will contribute to the development of new accredited and non-accredited courses in Building Information Modelling. These courses will be designed to develop and deliver core skills for aspiring construction industry workers across Victoria. This is a great initiative and BLP are proud to be involved, sharing our industry leading knowledge and skills with infrastructure professionals of the future. Graduates of these courses, currently in development, will be able to manage complex information across teams involving architects, building designers, engineers, contractors and specialist contractors, facilities managers and trades.